Caudalie, the natural French skincare brand, introduces La Maison Caudalie, its Flagship Boutique Spa. This Caudalie haven infuses design elements inspired by both its local neighborhood and Bordeaux Vineyard roots. 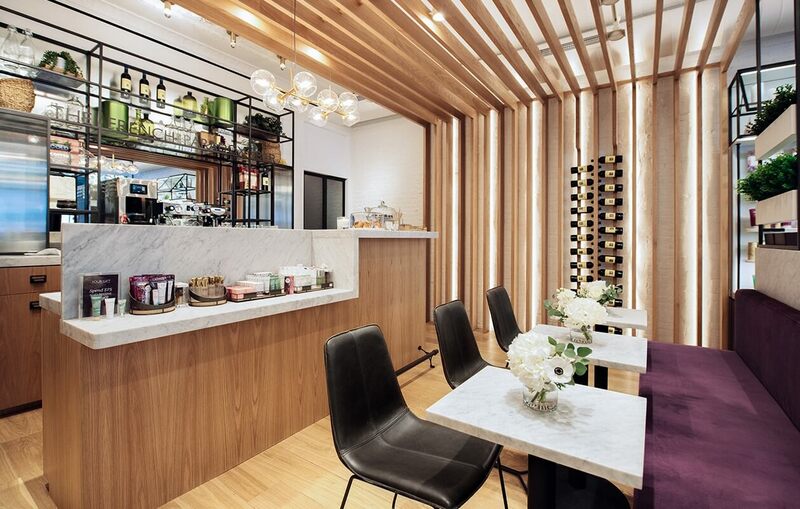 In addition to offering the brand’s signature luxurious products and Vinothérapie® spa treatments, the experiential retail concept features the added twist of a wine bar. 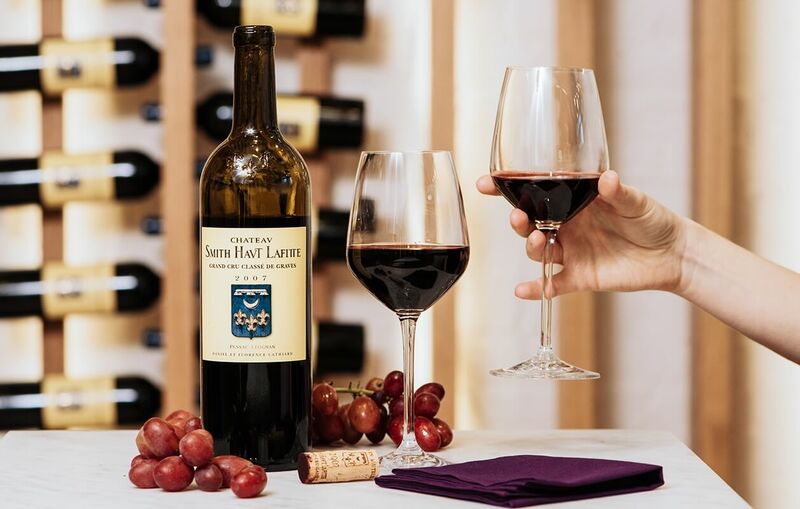 The aptly named French Paradox Café and Wine Bar serves guests a taste of the French lifestyle, including wine from Château Smith Haut Lafitte (the birthplace of Caudalie products and the first Caudalie spa), La Colombe coffee, Palais des Thès tea and Balthazar pastries. Immersive design elements including a custom grapevine chandelier, white oak wine barrel-inspired merchandising fixtures, marble inspired by the original Les Sources des Caudalie’s spa tiles, and grape wallpapered treatment rooms visually transport guests to the home of Caudalie in French wine country. 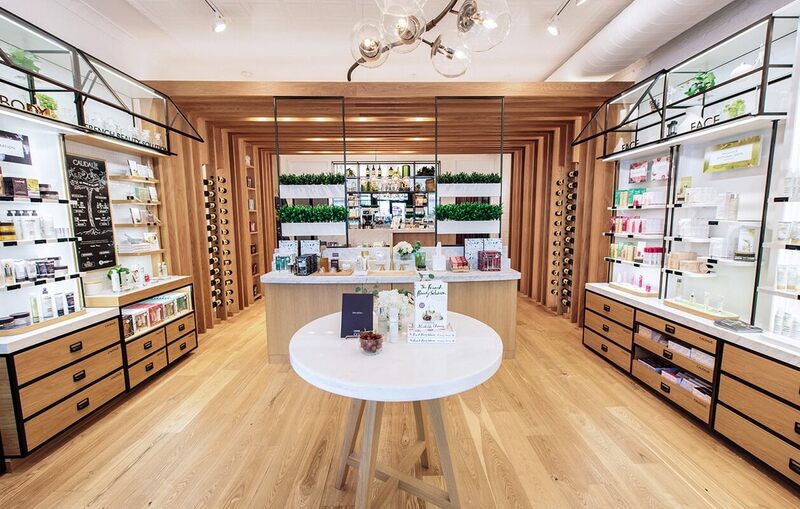 Product discovery and sampling areas, personalized skincare diagnostic tools, and two treatment rooms offering a full menu of treatments including favorites like the Premier Cru Facial and Crushed Cabernet Scrub, complete the ultimate sensory experience. In keeping with the company’s commitment to nature, one percent of all sales will be donated to “1% For The Planet”, a partnership through which Caudalie has helped plant over 3.5 million trees worldwide. 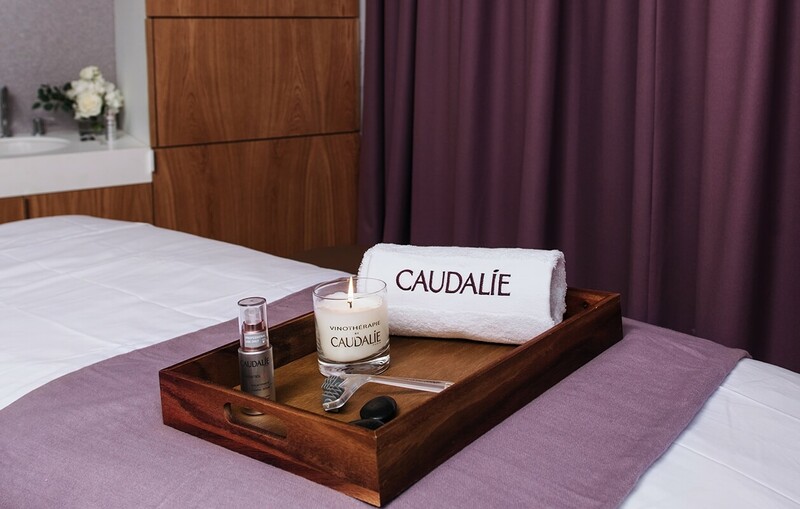 About the Brand: Caudalie is a 100% independent, family-run company created by Mathilde and Bertrand Thomas in 1995. Over 20 years ago, the couple discovered the amazing antioxidant powers of grape and grapevine Polyphenols during the harvest on their family vineyard of Château Smith Haut Lafitte, and has since created the world’s leading Vinotherapie skincare line that is carried around the world and in their 10 Vinotherapie Spas. In addition to donating 1% of its worldwide gross revenues to support the planet, Caudalie is committed to creating natural, environmentally friendly formulas. For more information about Caudalie, visit www.caudalie-usa.com.